While The Beatles became accustomed to being embroiled in controversy, there was a key player behind the scenes of the band’s success and image that created a drama of its own. Brian Epstein, born September 19, 1934, is best known for his role as The Beatles’ manager and is largely credited with their discovery, as well as a key player in their rise to fame. His management of the band was undoubtedly important to their success, but his business dealings drew much criticism, and the man’s personal life was a whirlwind of gambling and drug abuse that would ultimately become the catalyst for his demise. When Epstein first heard of The Beatles, he was working at his family’s record and musical instrument shop. Then, on the fateful day of November 9, 1961, he saw the group perform onstage at The Cavern Club in Liverpool, England. The group he saw on stage that night, though, was in direct need of an “Epsteinification.” They just didn’t know it yet. At the time, according to History.com, they would eat and drink onstage between songs, dress in all-black leather, and play only cover songs. In early December of 1961, Epstein and the band began discussing the possibility and terms of his management role. By the end of January, he was officially their manager. 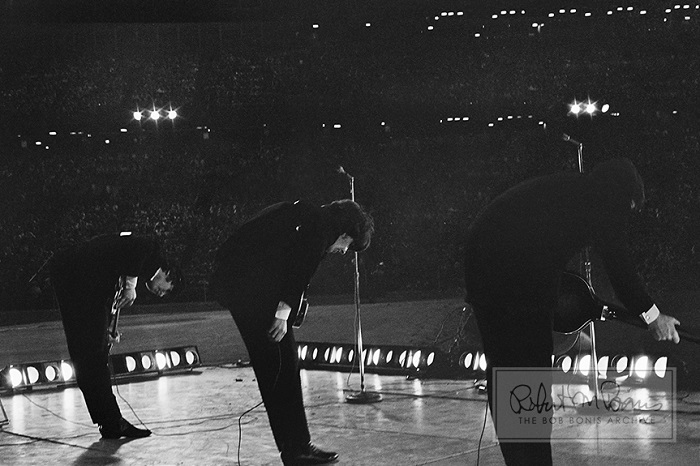 Although he didn’t have experience managing an artistic group, he was very influential in determining the band’s signature appearance and their trademark end-of-show bow to the crowd. Tragically, on August 27, 1967, at the age of 32, Epstein died of an accidental drug overdose after taking too many sleeping pills. Epstein had been with them for the entire trek up to the summit. But with his sudden death, anticipation of climbing down from the peak crept in suddenly, as did the truth behind some of Epstein’s business dealings. 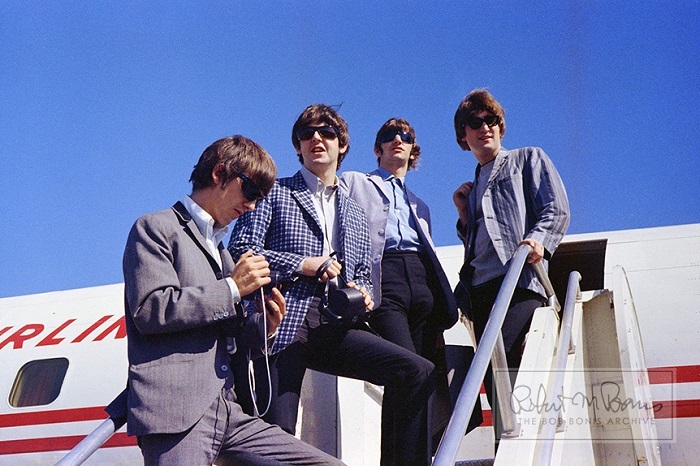 Although The Beatles were beginning their descent from the top, the view was still clear and bright as each member carried on with their respective, similarly best-selling solo projects. But, also in the background of The Beatles’ success was their U.S. Tour Manager, Bob Bonis. Bonis served as U.S. Tour Manager for all three of the band’s American tours between 1964 and 1966 (as well as for The Rolling Stones’ first five trips across the pond). As he worked with the Fab Four, he also satisfied his passion for photography, capturing rare and never before seen moments in rock-n-roll history. These iconic and intimate photographs are available now for the first time as strictly limited edition, custom-printed fine art prints from the Bob Bonis Archive. Each photograph is hand numbered, estate embossed, and comes with a Certificate of Authenticity from the GRAMMY Museum® at L.A. LIVE!